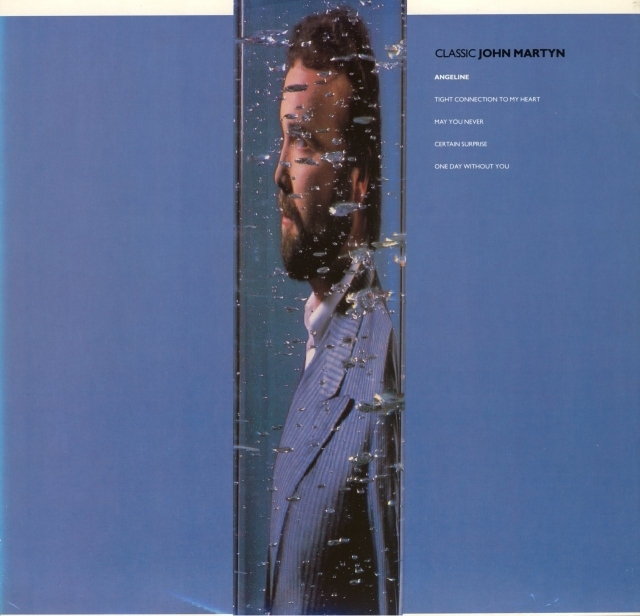 The holy grail of John Martyn promotion. Two interview albums with Trevor Dann, a 22 page booklet and the 12" Classic John Martyn single add up to a fine press kit. 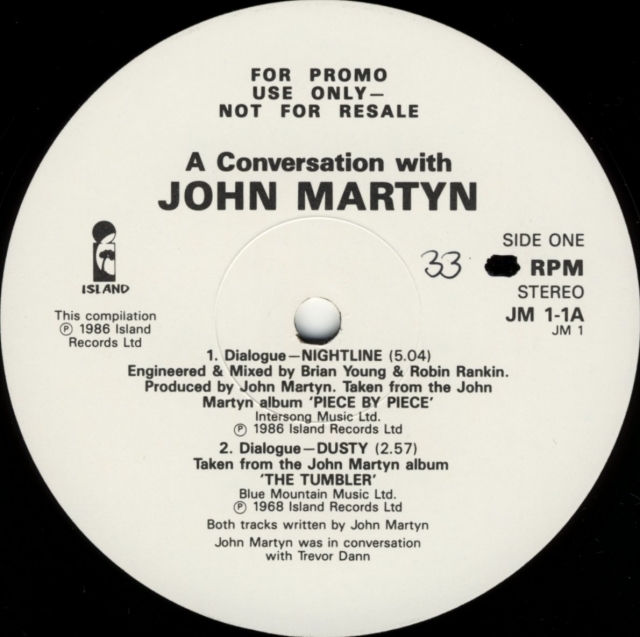 The interview albums are titled A Conversation With John Martyn. The musical tracks are separated by dialogue. 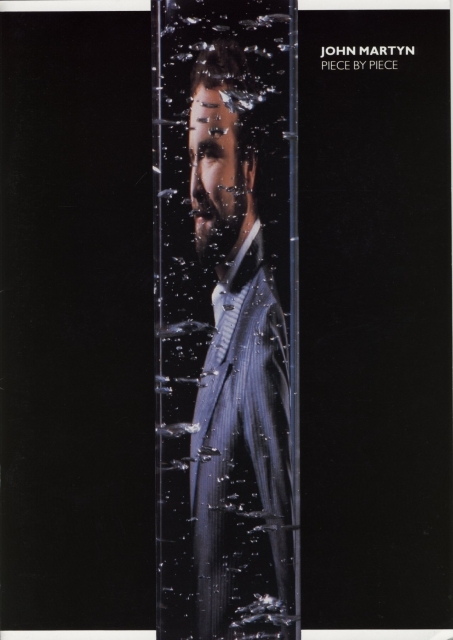 The booklet is mainly identical with the Piece By Piece Tour program. Apparently in 1986 Island put a considerable effort in promoting John as a mainstream artist. This set combines various items that were also used separately. 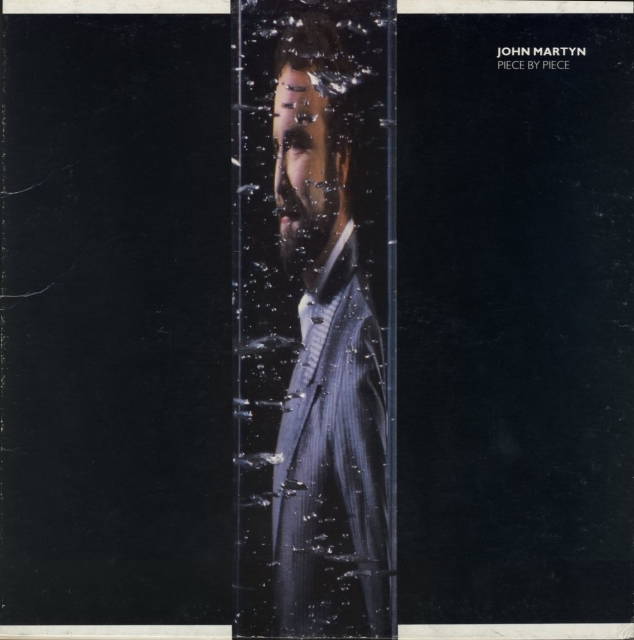 Of course there also were the Classic John Martyn CD single, the various Lonely Love singles and promo item and several merchandise items. Too bad it didn't work out; after the Foundations live effort (LP, CD and video) the new management decided that John had to go shopping with his next album The Apprentice. In the mean time it remains funny that the album that triggered the whole circus was not included in the press kit. This is probably called 'marketing'. JM 12 A-1U-1-1- and JM 12 B-1U-1-1-x1. "FOR PROMO USE ONLY - NOT FOR RESALE" printed on the labels. These originally had 45 rpm printed but this was manually corrected to 33. The covers of the interview records falsely state JMI-1 and JMI-2 as catalogue numbers.